The tech giant seeks to create a “Netflix of magazines” that urges subscribers to pay a flat monthly fee for access to hundreds of digital publications. From there, publishers will determine what kind of value they’ll get from Apple News's audience in the United States, United Kingdom and Australia. Of course, only a fraction of that installed base will be willing to pay for digital magazine content, if Apple’s experience with music is any indication. After stumbling in the rollout of Apple Music, the company’s music streaming service aimed at Spotify, Apple has gotten more aggressive about growing its subscription base. It has 56 million subscribers worldwide and overtook Spotify in the key markets of the United States, Japan and Canada. Spotify has 87 million paid subscribers and 109 million people who use its free, ad-supported service. Apple is said to be in talks with iHeartRadio to boost its offering of terrestrial radio programming in order to grow its content business and strengthen the ties with iPhone users. As for news and magazine content, Apple News has about 90 million regular readers. This year, it acquired Texture as part of a plan to create that digital newsstand. Texture had about 200,000 subscribers when Apple bought the company in March, according to Bloomberg News. If Apple can get the marketing formula right, it could rapidly expand that paid reader base to a much bigger audience. But publishers still want as much control as possible in supporting direct relationships with their readership. Separately, proprietary content-management systems, such as Vox Media’s Chorus and The Washington Post’s Arc, will likely offer additional ways for publishers to withstand the ongoing competitive pressures from Facebook and Google. 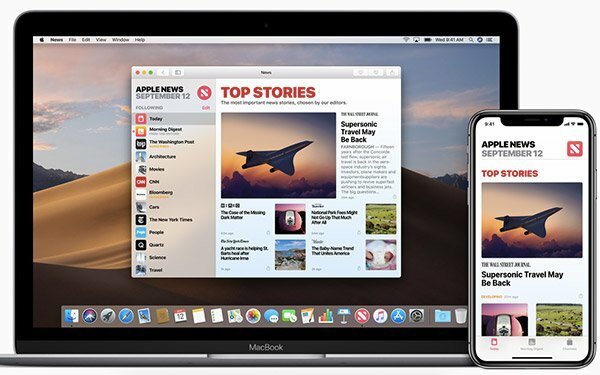 The next rendition of Apple News, including the integration with Texture, is expected this spring as the company preps for its annual developer conference in June. The company usually has a wave of platform announcements and is expected to drop hints about coming updates to iOS 13, the next mobile operating system.